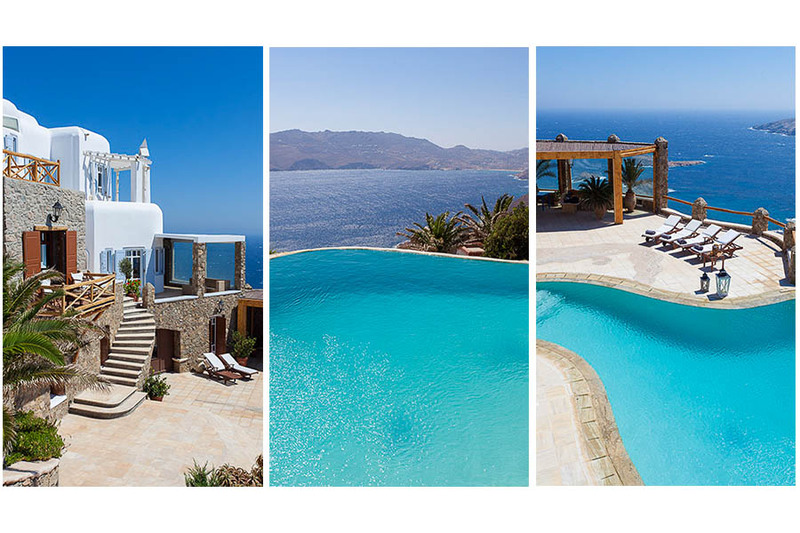 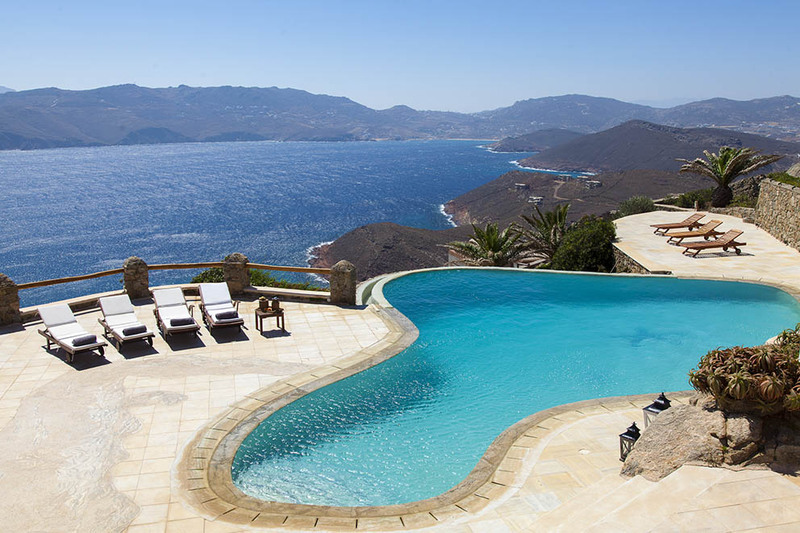 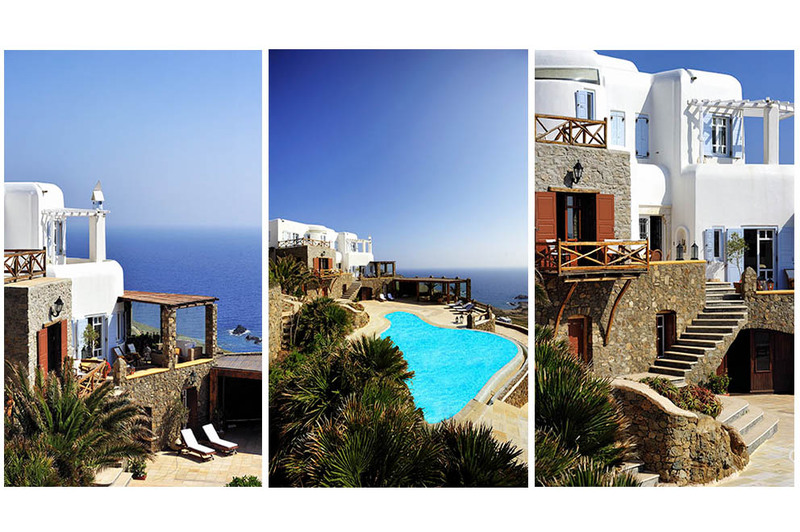 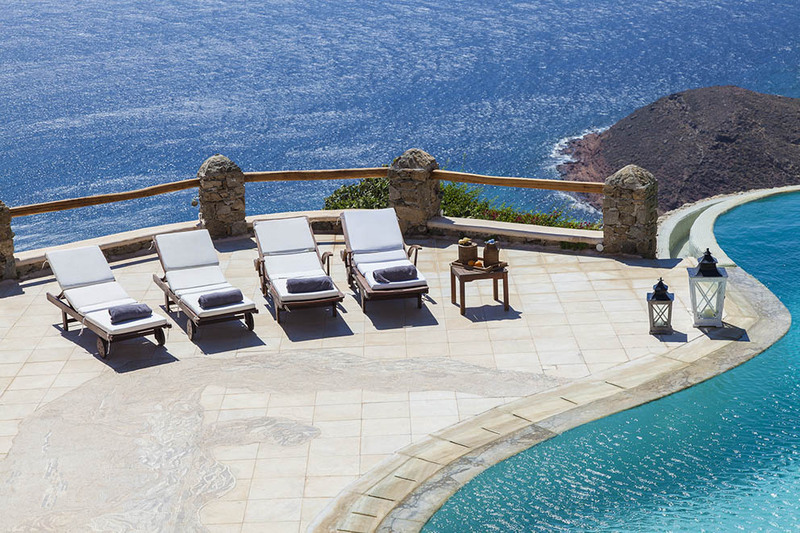 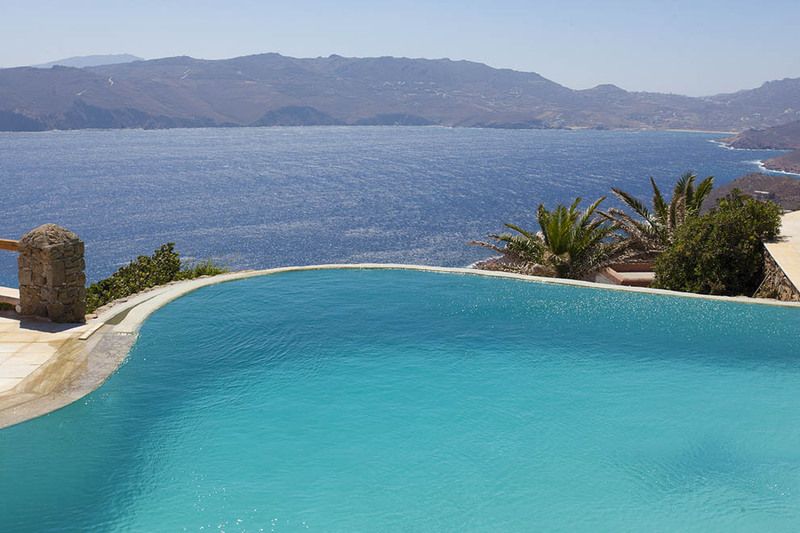 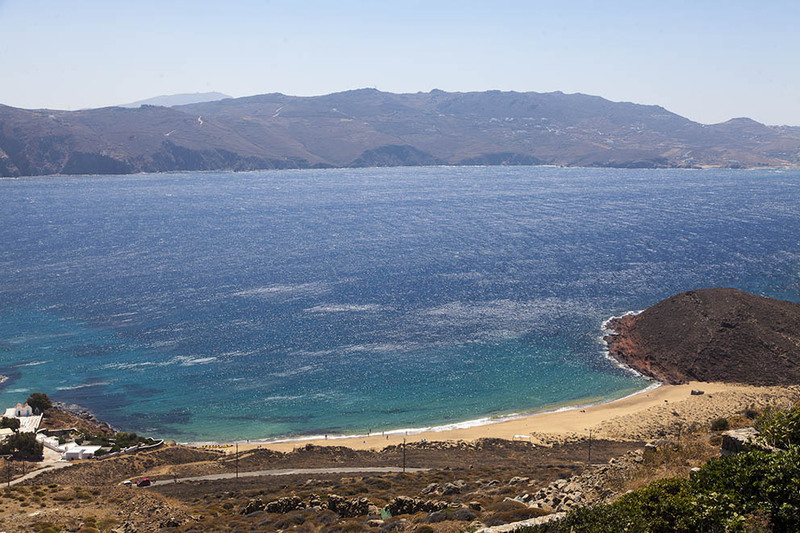 In the east of Mykonos, only a few steps away from the unspoilt beach of Saint Sostis with the golden sand and the greenish-blue waters, stands the stunning villa “Sostis Retreat”. 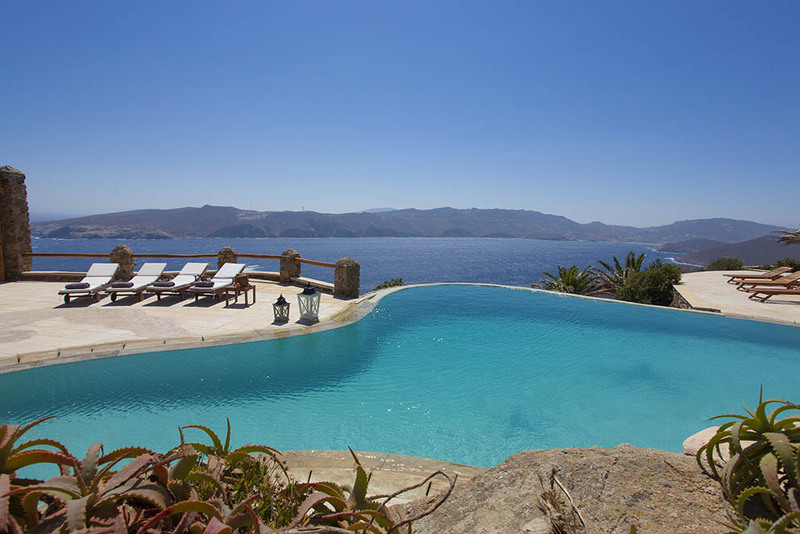 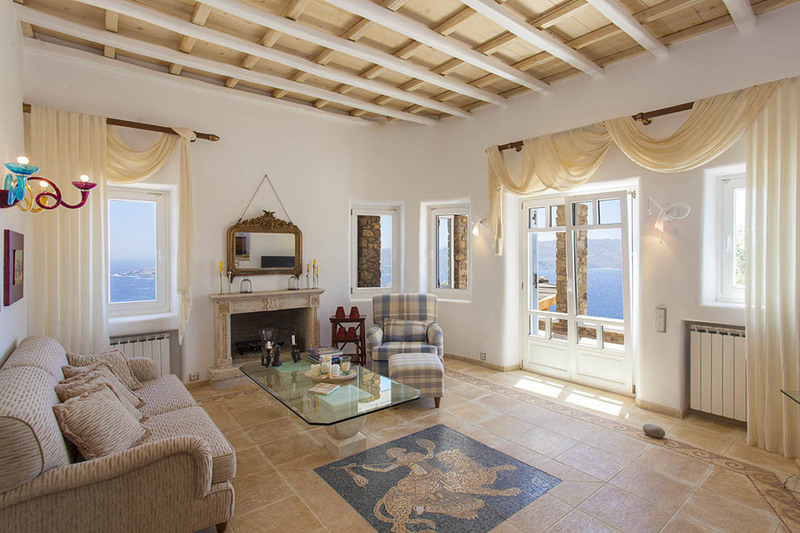 Villa “Sostis Retreat” enjoys a breathtaking unlimited view of the area; guests can see the picturesque country church of Saint Sostis and the magical sight of the sun reflecting onto the infinite blue of the Aegean. 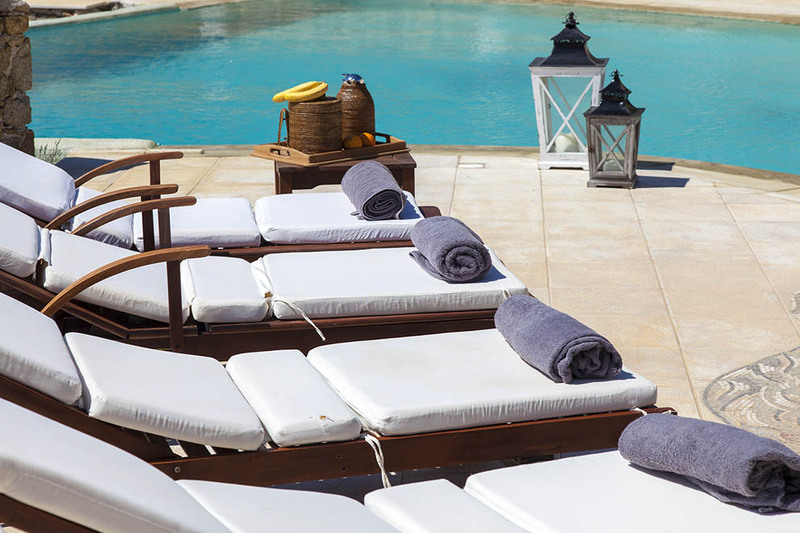 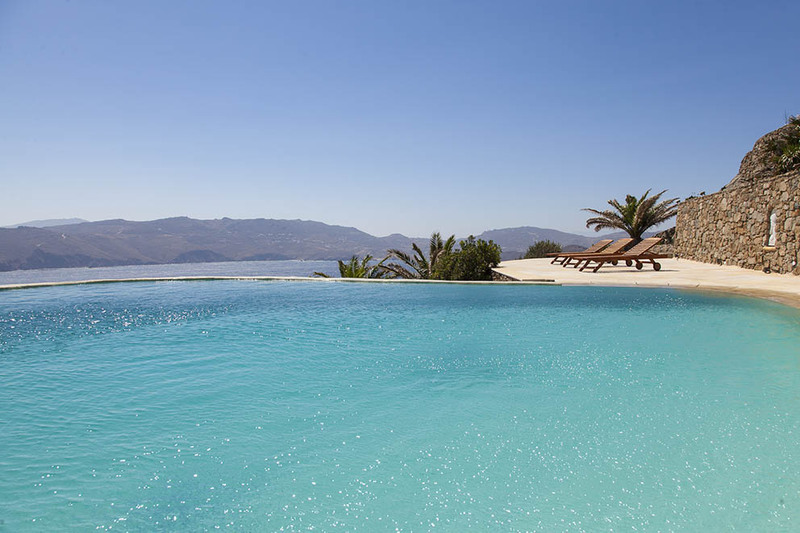 The beautifully landscaped grounds are dominated by the large infinity pool which is surrounded by sun beds and settees. 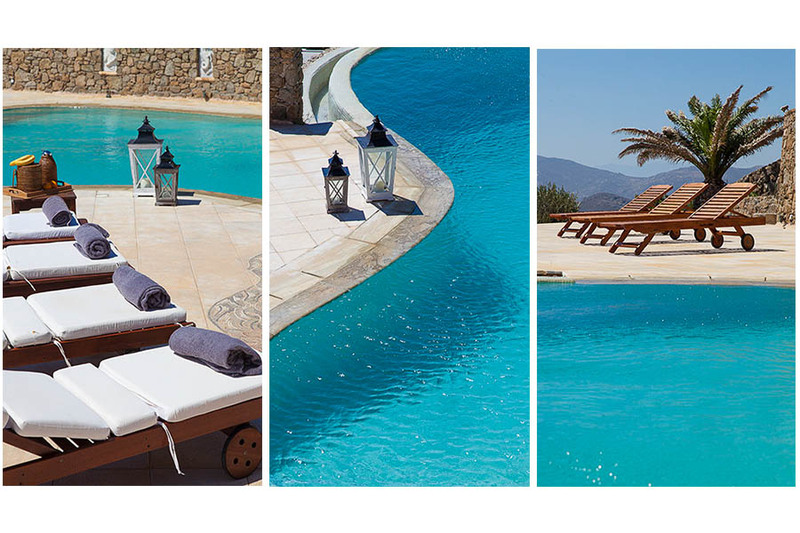 Above the swimming-pool under pergolas is a 100 sq.m dining area with a BBQ, a stone built traditional oven and an auxiliary kitchen where guests may have great moments of entertainment. 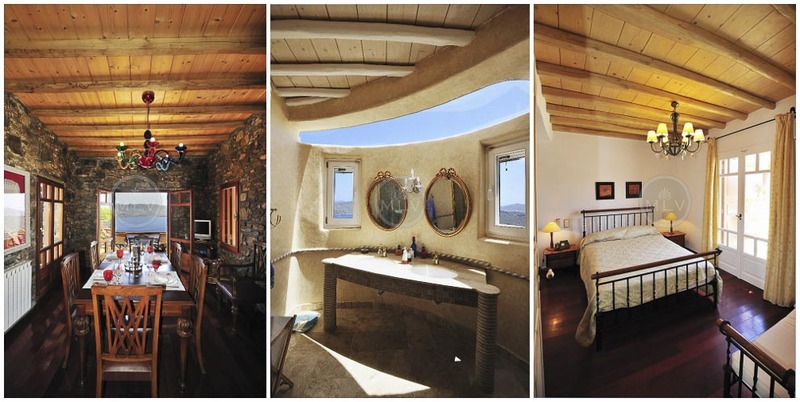 On the same plot, at an elevated level, is an independent traditional guest house unfolding onto two levels. 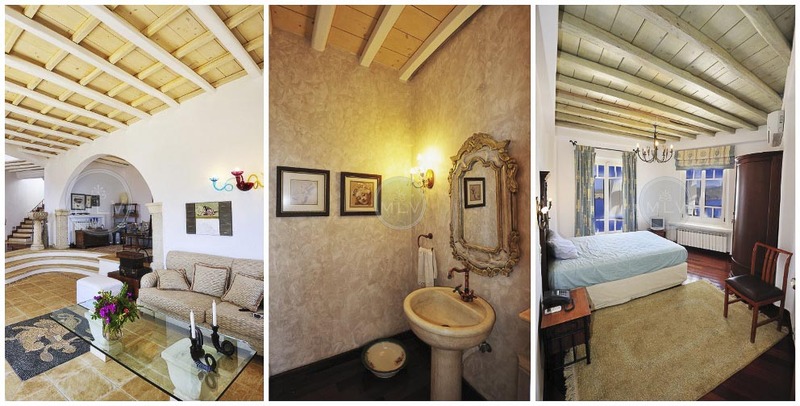 The ground floor consists of the living room, the kitchen and the bathroom while on the upper floor is a loft style bedroom. 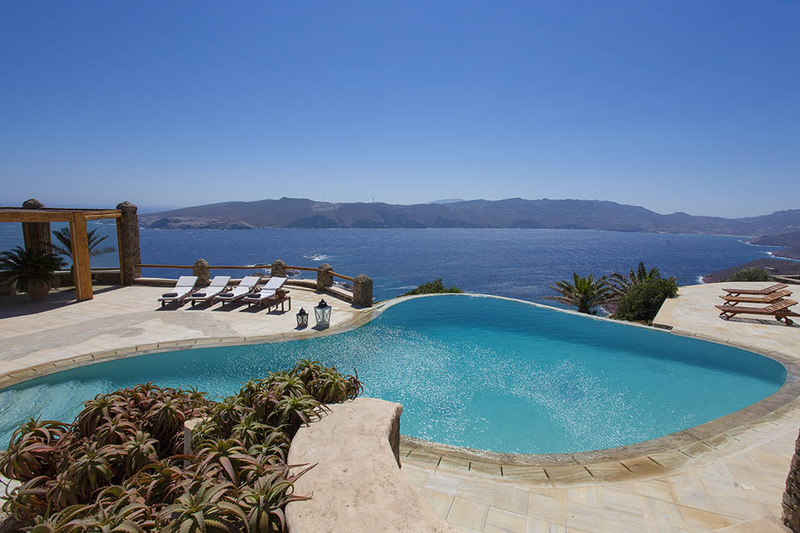 The main body of the villa unfolds onto three levels; the ground floor has two guest rooms and a recreation room with a bar and a ping-pong table and there is direct access to the exterior. 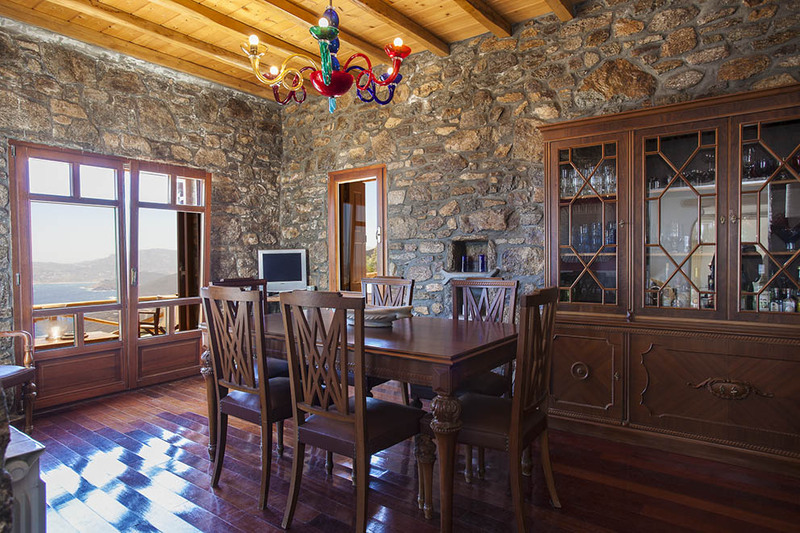 On the first floor, there are three separate seating areas and on an elevated level stands the formal built-in dining table. 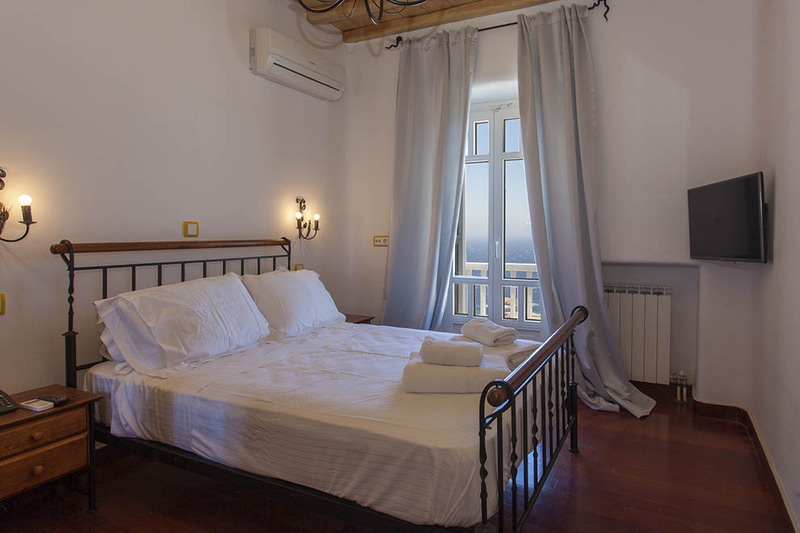 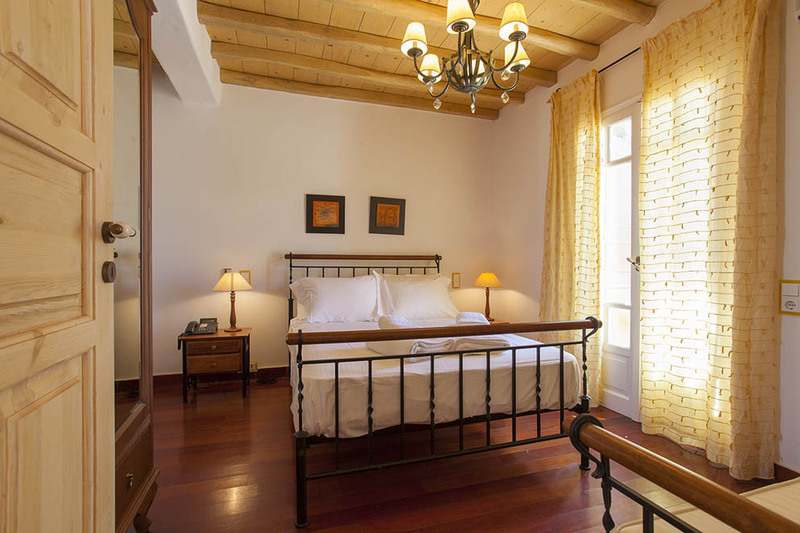 On the second floor are three comfortable spacious bedrooms. 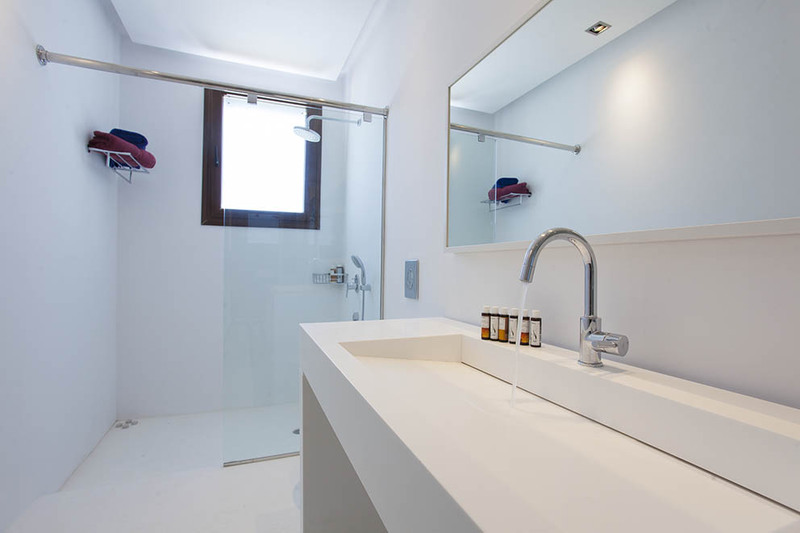 The bathroom of the master bedroom certainly catches the attention with its modern decoration and the light created from the skylight. 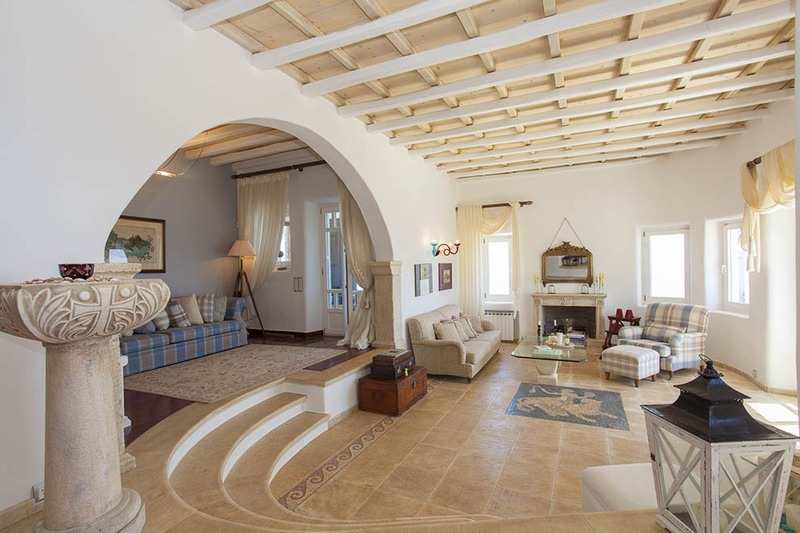 It is worth mentioning that some of the furniture, which is of solid wood and craftsman made, is antique and together with the marble creations and amazing mosaic pictures which are to be found on the interior and exterior walls of the villa and on the wooden floors a comfortable and luxurious environment awaits guests. 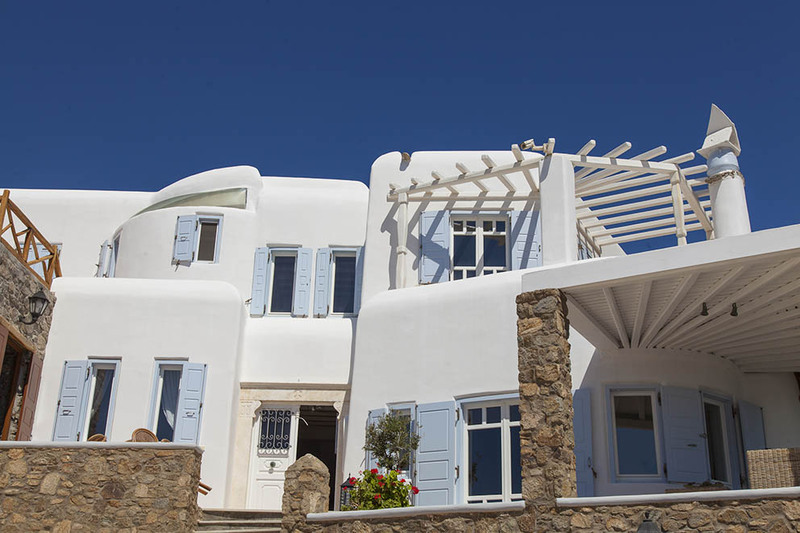 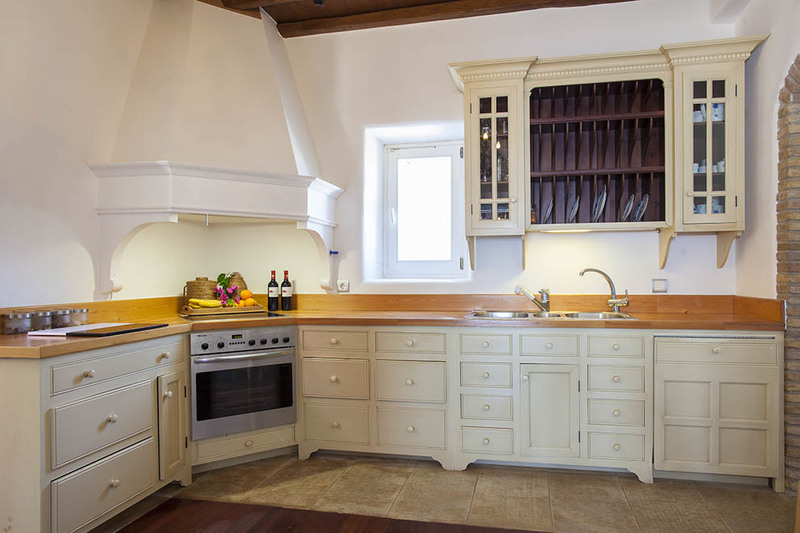 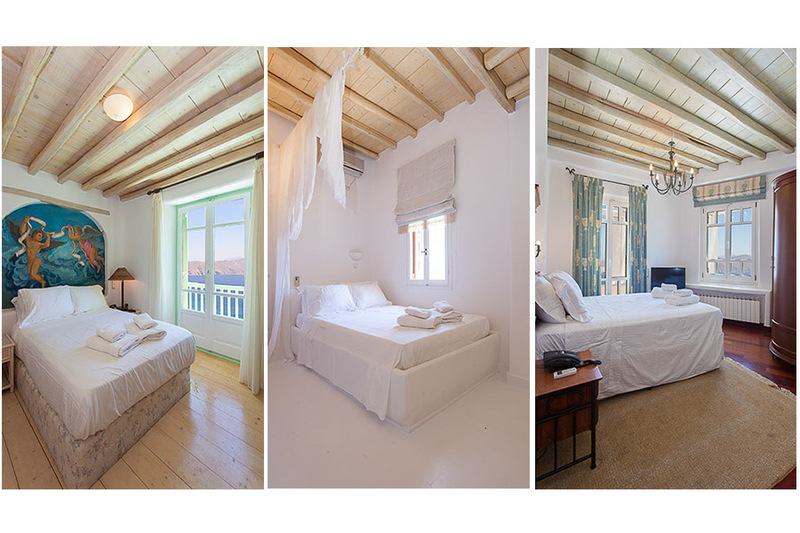 The impressive architectural design of the villa in combination with the personal touch of the owner in the decoration and furnishing makes villa “Sostis Retreat” an ideal choice for guests who wish to combine luxury, elegance and all possible comfort during their holiday.